Our mission statement is to always treat people as I would want to be treated, and to give exemplary service to go above and beyond. I pride myself on being my word to all people and customers alike and doing a great job. My passion for cedars and appearance evolved from seeing that the first impression of a property is from the curb. A quality cedar hedge and a healthy yard gives the impression of pride in ownership in a neighborhood. Throughout the years as a tree faller I have experienced that companies that specialize in tree falling are either ill equipped nor experienced to properly care for cedars. It takes patience and a good eye for attention to detail. 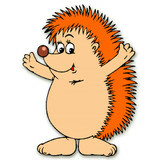 Hedgehogs is the name but we are much more than that. We are very community minded and understand the value of contributing by volunteering and giving financially. I have lived in the valley for 26 years and understand the needs and people in our area. I have gained experience in many areas such as being a carpenter and home builder, heavy equipment operator, tree climber/faller and many other trades geared to the housing and commercial market . Keith Hewitt, is a Landscaper Manager who has been involved in landscaping since 1976 having graduated from Lakehead University with a diploma in Forest Technology. After moving to Kelowna in 1977 he worked for a local landscape construction company. In 1985 he formed his own full service landscape construction and maintenance company. 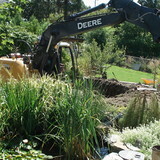 We have installed full landscapes with everything from lawns, trees and shrubs to retaining walls, driveways and ponds. We maintain everything as well with the highest standards in the industry. Our focus now is on landscape maintenance. We service single family residential, multi family residential and commercial properties and we are always looking for ways to improve the gardens. We will make suggestions and recommendations on how to get the most from your property. We choose the right plants for the right location and then maintain them the way they should be maintained. In addition to the maintenance side of gardening, Summerland, BC gardeners can help you with garden design and choosing specific plants and grass types for your climate and area. 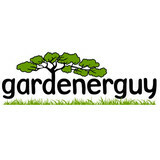 Find a Summerland, BC gardener on Houzz. Narrow your search in the Professionals section of the website to Summerland, BC gardeners. You can also look through Summerland, BC photos to find examples of yards that you like, then contact the British Columbia contractor who worked on them.